The Federal Energy Regulatory Commission (FERC) wants to know the reasons for the Texas power generation outages and for the interruptions in natural gas delivery to New Mexico. As Texas officials began looking into the causes of the Texas electricity blackouts, New Mexico was holding its own hearings. The ripple effect felt by down pipeline states when Texas’ electric grid and natural gas supplies went awry during an abnormally cold winter storm in February of this has prompted the federal agency to examine how to ensure that a new fleet of natural gas plants around the country can get plenty of fuel. This has major implications for a state that has been expanding natural gas drilling operations exponentially over the past several years, many think to the detriment of the environment and the health of those who live around those operation. Just ask the folks in the Barnett Shale region of North Texas. Some of them might even be able to light their water taps on fire for you. If you want to learn more about the concerns of citizens living in natural gas drillling areas check out “Gasland,” the Academy Award nominated documentary film by Josh Fox, that examines whether hydraulic fracturing of shale formations threatens water supplies and poses other environmental hazards. Click here to read our earlier blog about the movie. 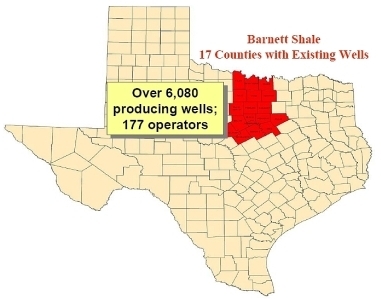 Are Barnett Shale residents the lab rats in the fracking debate? Are desperate school boards having to make decisions about the fiscal health of their districts now vs the long-term health of their charges in the future? Mike Norman, the editorial director of the Star-Telegram/Arlington and Northeast Tarrant County, writes about the precarious lab rat position of citizens in the Barnett Shale. Click here to read his editorial. The protests in Wisconsin. The passage of the CR in the House in the dead of night over the weekend. And the continued debate over how to balance the Texas $26 billion budget gap. We kept getting told there are no sacred cows- that all have to share in the burden and pain of budget squeezing. But realpolitik has shown exactly where the real sacred cows are, while corporate tea party crusaders use the budget crises as a reason to bust unions, raid pensions funds, and slash health services and education budgets, they are leaving intact the tax breaks for oil and gas companies. Let’s talk Texas first: a new study out this morning by the Texas Tribune showed that Texans want a balanced approach to fixing the budget. The single most popular answer was a 50/50 split of revenue enhancements and spending cuts. 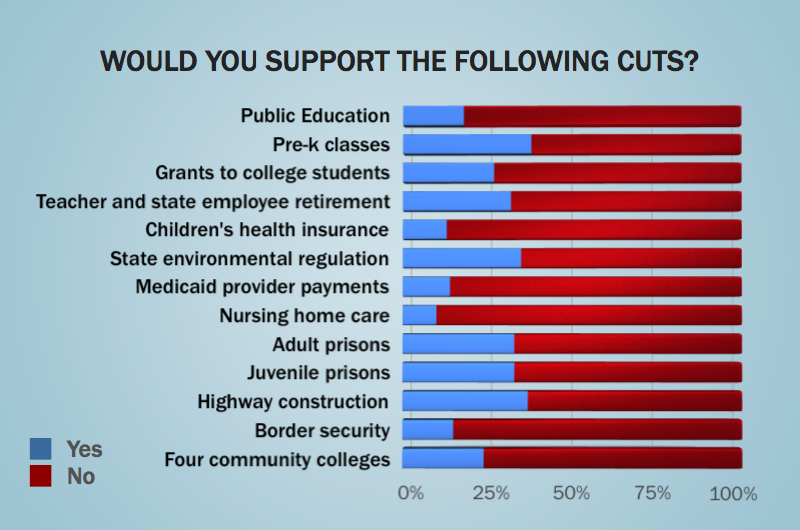 However, when you asked people what they wanted to cut spending on, the answer was a resounding NO! to education cuts, NO! to health services cuts, NO! to environmental reg cuts. And when asked where to increase revenue, it was equally sticky. The single most popular options, the only ones which get over 50% support, was to legalize casino gambling and increase alcohol taxes. But taxing vice can only get us so far. One of the things not touched by the poll were the enormous tax breaks we give to the natural gas industry, one which the LBB has suggested eliminating, namely a $7.4 billion tax cut to oil and gas companies using “high cost” wells- which generally means one thing: hydro-fracturing. Fracking is used on areas like the Barnett Shale and has been linked to spoiled water, a cancer cluster located in Flower Mound/Dish, and natural gas turning tap water flammable, and a garden hose into a flamethrower. At the very least, all of the drilling is producing more air pollution than all of the cars and trucks in the Dallas-Forth Worth area. So to add insult to industry, not only is the drilling on the Barnett Shale ruining families’ homes and making people sick, but we are paying the companies billions of dollars in pork to do it, robbing school children and those who need a hand from social services. An executive with Chesapeake Energy told members of the Tarrant County legislative delegation Wednesday that the company would consider curtailing activity in Texas if the exemption is discontinued. Senate Natural Resources Committee Chairman Troy Fraser (R-Horseshoe Bay) said he expects to act on legislation (Senate Bill 527) that would allow the state to tap into funds from the Texas Emissions Reduction Plan to pay for air monitoring activities near natural gas drilling operations. North Texas Senate Republicans Chris Harris, Craig Estes, Jane Nelson and Florence Shapiro along with Democrat Royce West have signed on as co-authors. Late last year, Senator Wendy Davis (D-Fort Worth) filed a bill (Senate Bill 102) that would require the Texas Commission on Environmental Quality to tap TERP funds to “conduct short-term and long-term air quality monitoring” to gauge the levels of such pollutants as particulate matter, nitrogen oxides and volatile organic compounds near various natural gas operations in the Barnett. 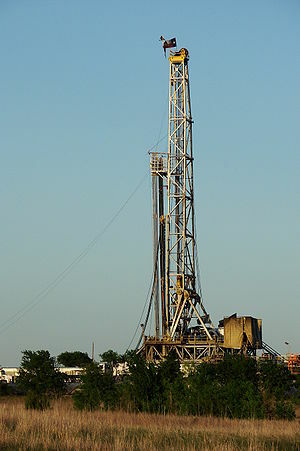 The controversy over Barnett Shale natural gas drilling or “fracking” that has overcome Fort Worth and Tarrant County since 2002 has, in recent months, drawn public attention nationally – first to the money to be made by mineral rights owners, then to the inconveniences of drilling for those who live around it, and, more recently, to a heightened concern about the potential environmental and health impacts of this concentrated activity in a densely populated urban area. Less attention has been paid to another hard fact of Barnett Shale drilling: Not a single well goes into production without a network of pipelines to take the gas to market. There are about 2,700 wells in Tarrant County alone and 15,000 in the 23-county Barnett Shale formation, according to the latest Railroad Commission data. With 241 companies active in the field, drilling won’t stop any time soon. So now it’s time — past time, really — for elected officials and state and local agencies to focus more attention on the proliferation of pipelines and whether they are being done right. A study of that issue resulted in a report, “The State of Natural Gas Pipelines in Fort Worth” that was done for the Fort Worth League of Neighborhoods. Researchers studied gas pipelines in the region over a year-long period and put forth 26 recommendations for federal, state and local lawmakers and regulators, the pipeline industry and the citizens of Fort Worth. The report’s recommendations highlight the need to bring local residents into the pipeline-planning process early on, giving them more information about what makes for a safe pipeline and more ability to make an informed decision about whether they can live with what’s being proposed for their neighborhood. Texas has thousands of miles of pipelines for gathering, transmitting and distributing oil and natural gas. 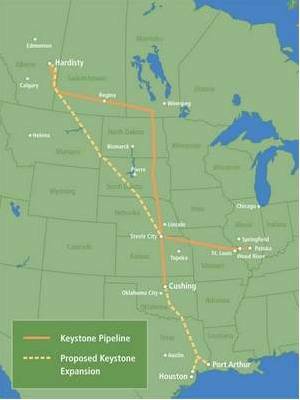 Pipeline failures are few and far between. It’s just that any such failure can be catastrophic. If you live in an area where natural gas fracking is or could potentially occur, you might want to take a look at this report, “The State of Natural Gas Pipelines in Fort Worth”. The Texas Railroad Commission (RCC) will hold a special hearing January 10th to look into the complaints of methane in two Parker County drinking water wells that prompted the U.S. Environmental Protection Agency (EPA) this week to order a natural gas drilling company to take steps to remediate the problem. The RRC has not yet posted the starting time or place but we will let you know as we hear more. Both the Railroad Commission and Range Resources, which drilled the Barnett Shale gas wells near the two homes affected by the methane-laden water, accused the EPA of acting in haste when they issued an order of remediation late Tuesday. Both the RRC and Range Resources claimed there was insufficient evidence to blame drilling operations for the situation. 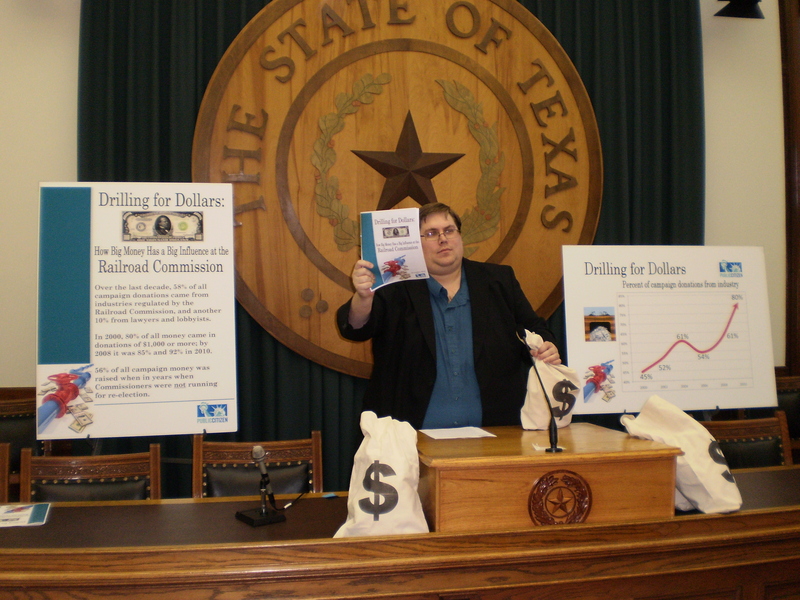 But critics of the drilling operations in North Texas suggested that the Railroad Commission was acting more as a booster than a regulator of the natural gas industry. In its emergency order, the EPA said that its testing suggests that the gases found in the water and gases from Range’s wells “are likely to be from the same source.” The EPA also pointed out that there were no reports of methane in either of the two water wells that were drilled in 2002 and 2005 until after Range sunk its nearby gas wells in 2009. In the Railroad Commission’s response to the EPA order, all three commissioners suggested the federal agency was needlessly overstepping its authority. And the commission included a detailed timeline showing the progress of its own investigation into the affected drinking water wells. If you live in the Barnett Shale region and are concerned, we urge you to attend this hearing. We will post details about the hearing as soon as they are available. If you are concerned that the RailRoad Commission is not being protective of the health and well-being of Texans, consider attending the Sunset Advisory Commission‘s hearing on the RRC and the Texas Commission on Environmental Quality next week, December 15th. See our earlier blog for details. On Sunday, November 14th, 60 minutes will run a segment on the controvercial process of hydrolic fracturing (also known as fracking) for extracting natural gas. 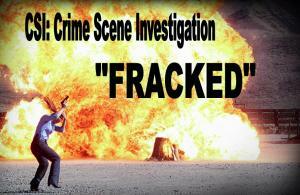 Much of the footage was shot around the Barnett Shale near and in the Dallas-Fort Worth area where residents are grappling with a plethora of potential problems from compressor stations emitting known carcinogens such as benzene, to the poor lining of wells after drilling that has led some water taps to literally spout flames, all associated with the full set of activities needed to produce natural gas (see our earlier blog about the focus of a Town Hall meeting regarding the Texas Sunset process and the two agencies in Texas who regulate this process). The “60 Minutes” episode is entitled SHALEIONAIRES and below is a brief description of the segment. SHALEIONAIRES – While some complain that extracting natural gas from shale rock formations is tainting their water supply, others who have allowed drilling on their property are getting wealthy and becoming “shaleionaires.” Lesley Stahl reports. Shachar Bar-On and Meghan Frank are the producers. You can watch this episode on CBS on Sunday, November 14th at 6 pm CT. If you missed it, click here to catch it online.